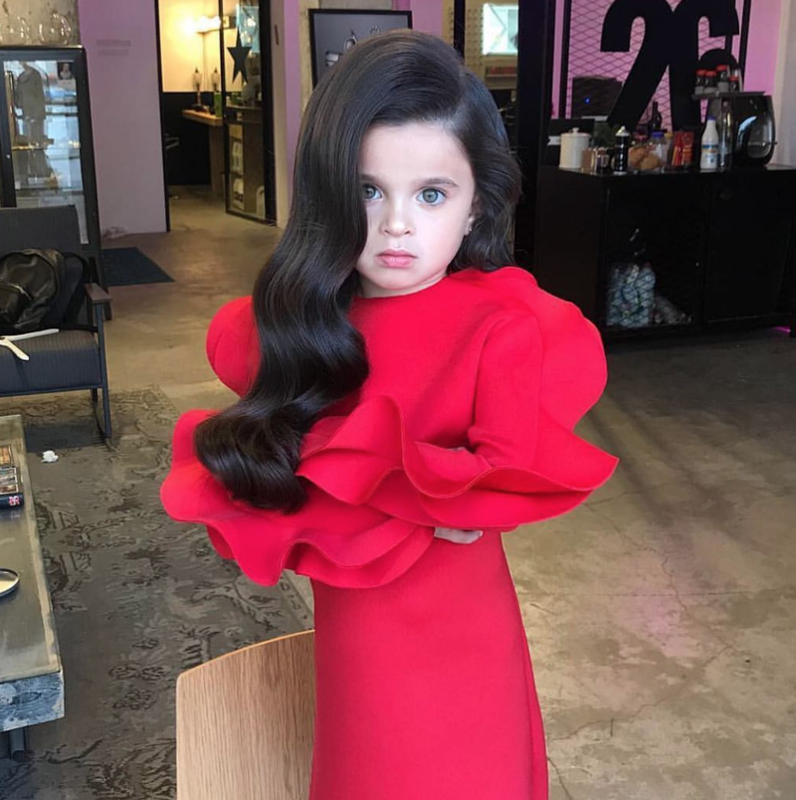 She's only five but is serving hair envy thanks to her mom's creations, but the internet is not impressed. This little girl from Tel Aviv, Israel has the most fantastic hair, and her mom has decided to show it off with some exciting hairstyles. She is taking social media by storm at a very young age. Her Instagram profile has more than 60,000 followers. However, while some serious love has been shown from the internet, there are also the not-so-pleasant comments, picking on the mother's parenting style. Read: Are the hair policies of schools outdated? Mia Aflalo has also appeared on Britsh Vogue, so it's no wonder this young girl can sit still for hair and make-up! Okay, I get it, it's a little mature for a five-year-old, but I cannot help but think that this was some mommy and me time, which turned into a full hair activity. The daughter smiles in most pics and looks to be enjoying herself. She also has some serious model poses going on, could this be a budding career?! I am a firm advocate of children being children and that they should be out rolling in the mud instead of posing for some Instagram profile, but if she is having fun, can we take this away from them? Well, with a rise in child trafficking cases, let's face it, we do not know who is looking at our children on the internet, so it is far safer to keep them off social media and instead have some cheerful fun at home. Do you find anything wrong with her sharing these pictures of her daughter?